This is a recipe I love. It is super easy and doesn’t require much. 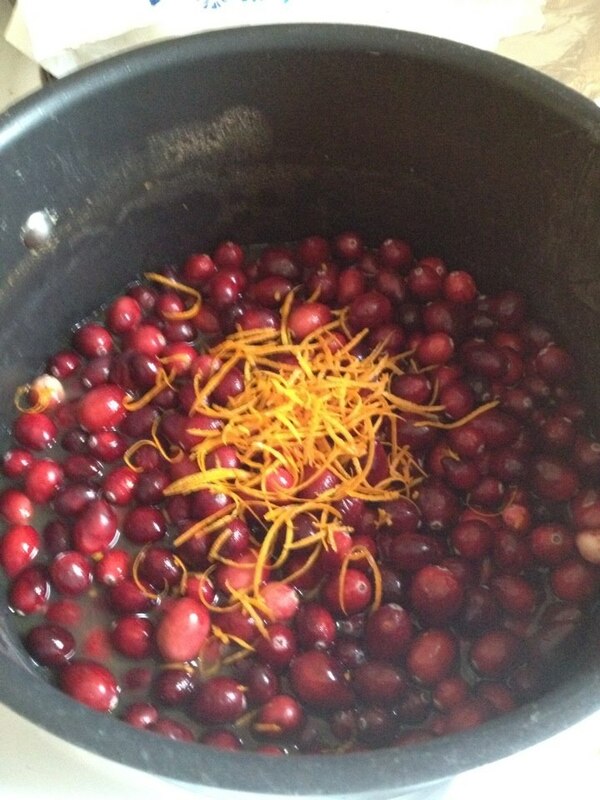 4 Ingredient, 1 pot. 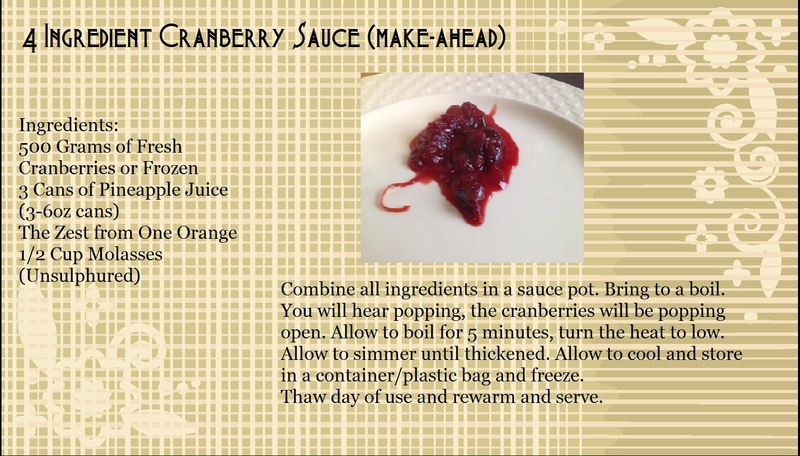 I am making this now, so this will be one thing less I have to do right before Thanksgiving Day. I like to have all my ducks in a row when it comes to being prepared. I have had things go wrong in the past that could have been prevented. Nonetheless I will be preparing things ahead and hoping everything works fine. 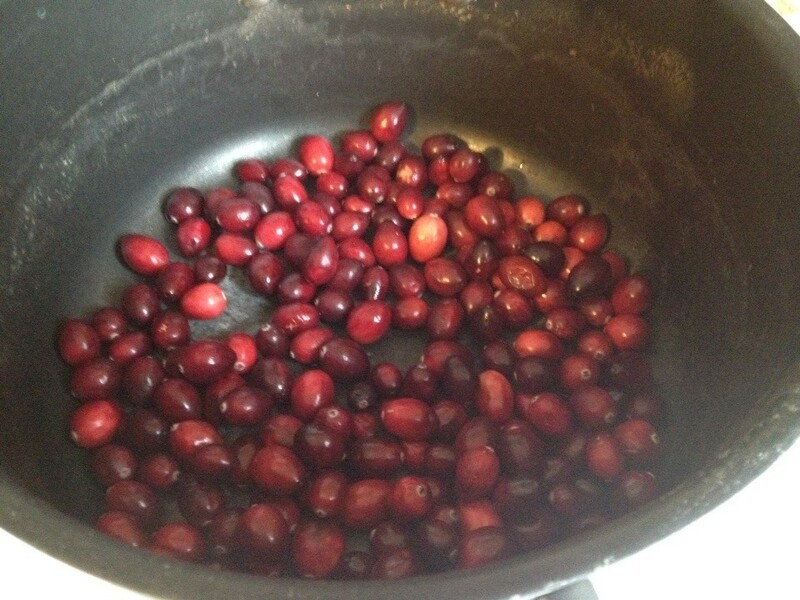 Remember I said 4 Ingredients: I used Fresh Cranberries. Always go for fresh if you can, frozen will work too. 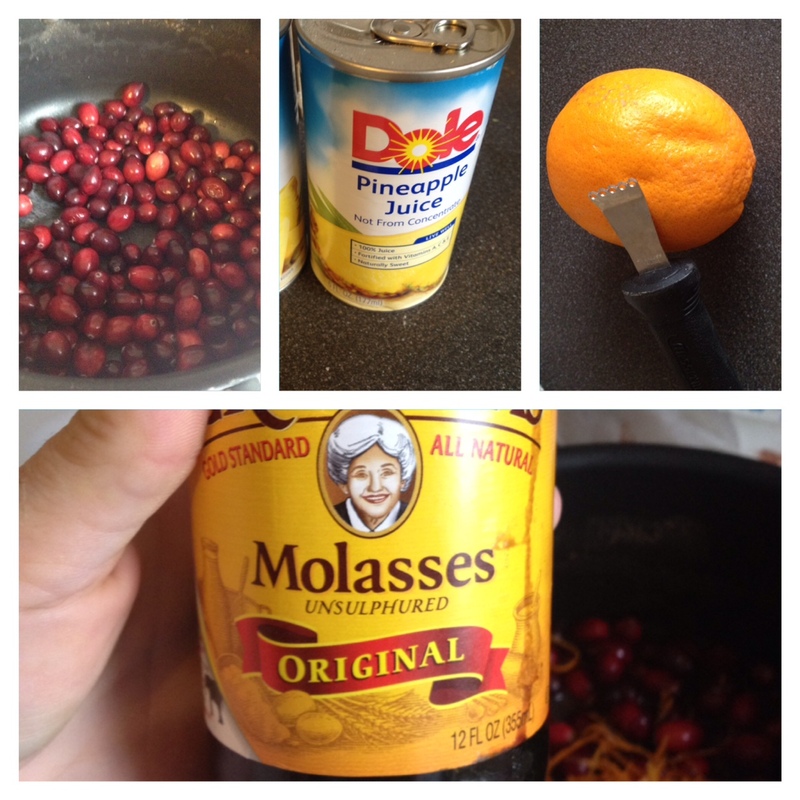 I used pineapple juice, but any citrus juice can be switched. Orange Juice a good substitute too. Zest of an Orange. If you have a fancy zester like mine use it. If you don’t http://www.wikihow.com/Zest-an-Orange there are three other ways. 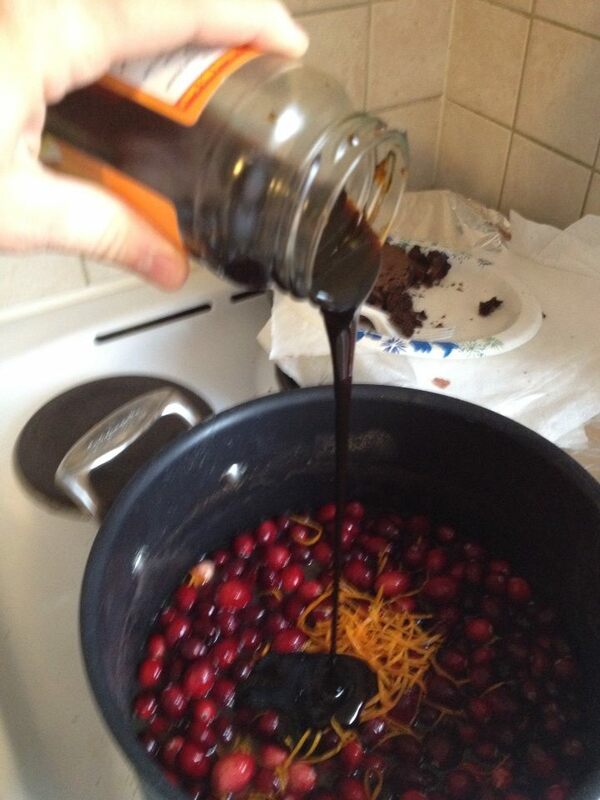 Molasses or you can use real maple syrup. Note the Vibrant color. This will go nicely with the Turkey. It also goes great with a pork loin. 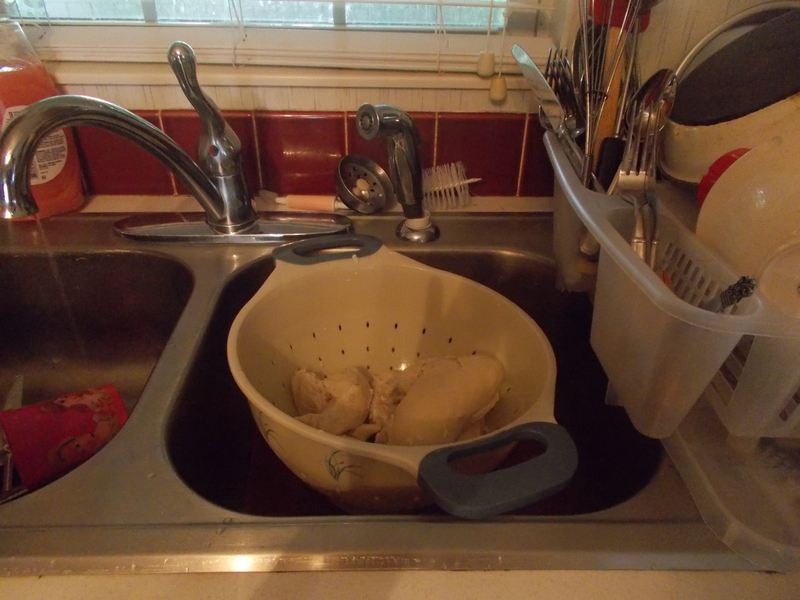 Allow it to completely cool before transferring to a container/ziploc bag to freeze. Unthaw the day of event, rewarm and serve. 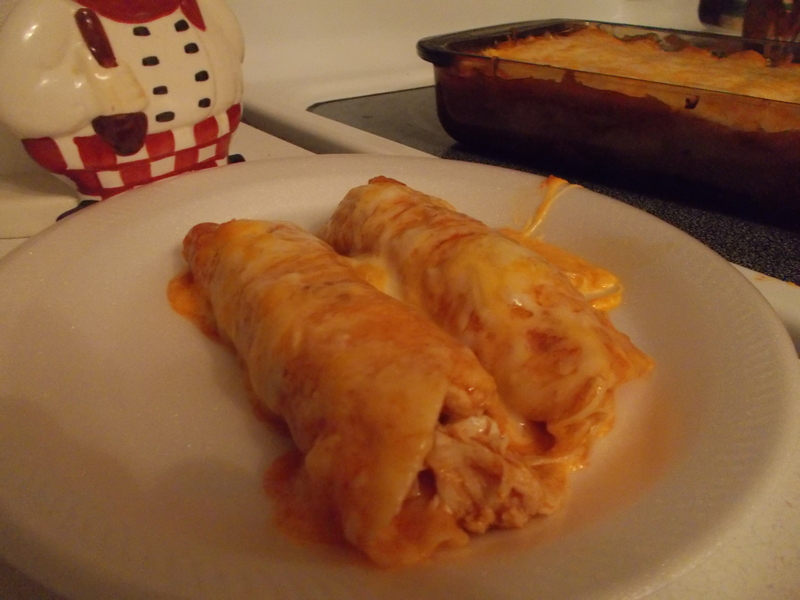 Chicken enchiladas is my favorite meal when it comes to mexican cuisine. This is an easy recipe meant for people who don’t cook all the time, but can do the very basics. If you prep all of this ahead of time, it’s too easy. it’s all a matter of putting things together, rolling them up, pouring them on, letting them get bubbly and voila! 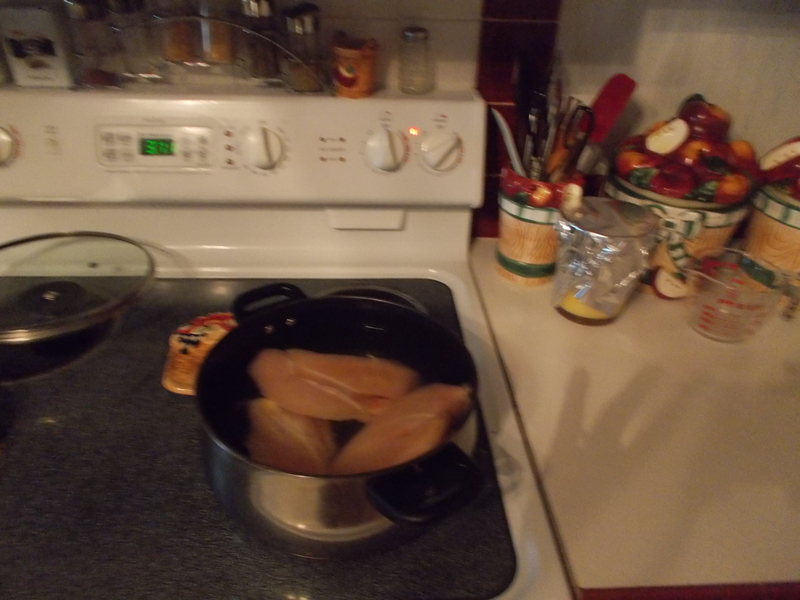 So during the day yesterday I took the chicken and boiled it in a pot of water for 10-15 minutes until it was cooked through (no pink showing). I drained it and allowed it to cool. Once Cooled I tore it til it was small pieces. Placed it in a covered bowl and set aside. DO THIS AHEAD OF TIME. 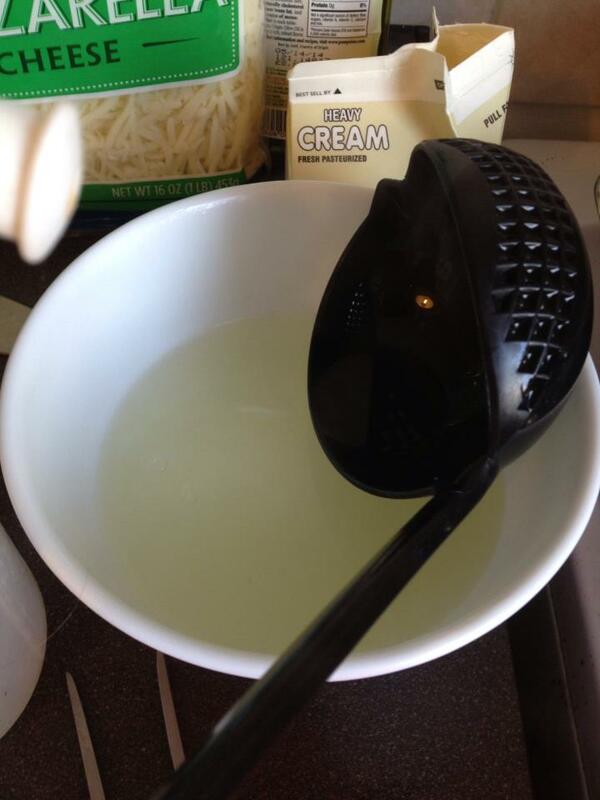 Saves you from having a big headache if you are not used to cooking at all. 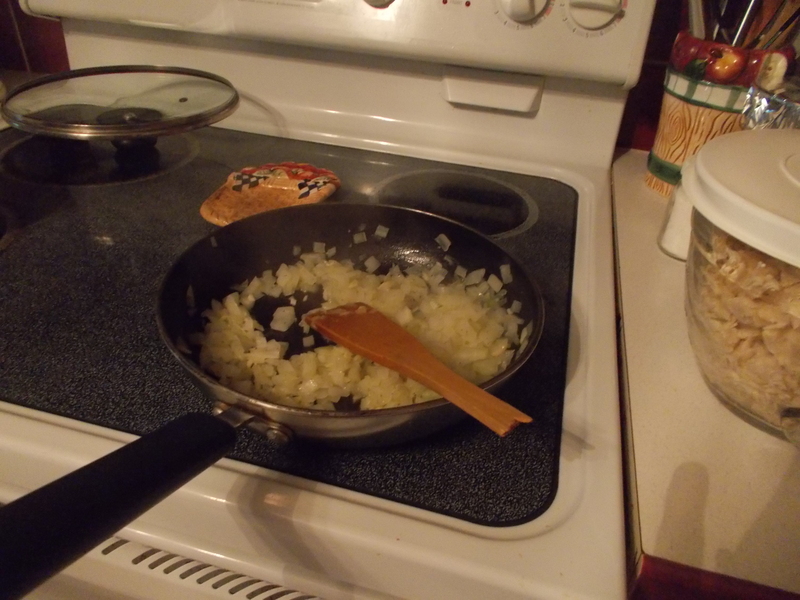 Once you are ready to cook the enchiladas, saute the onions and garlic. Don’t burn the garlic. 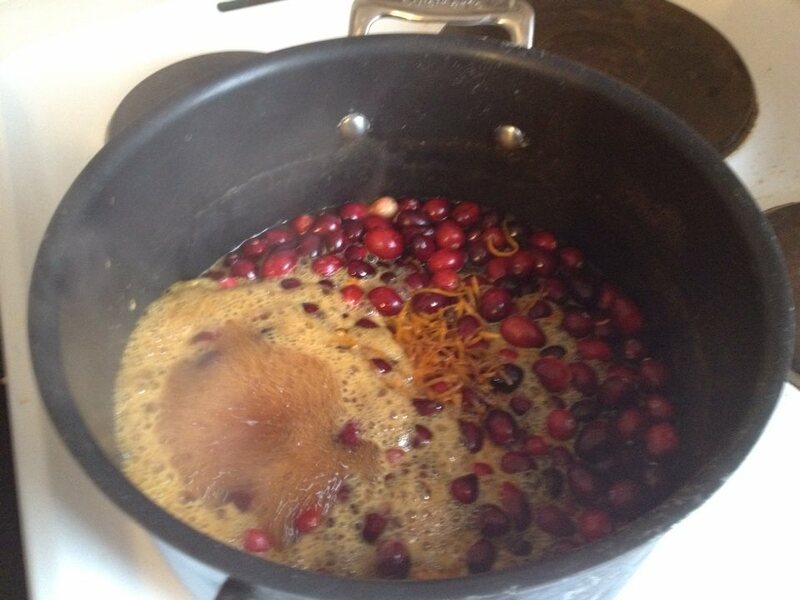 Add in a can of the enchilada sauce, warming it up slightly. 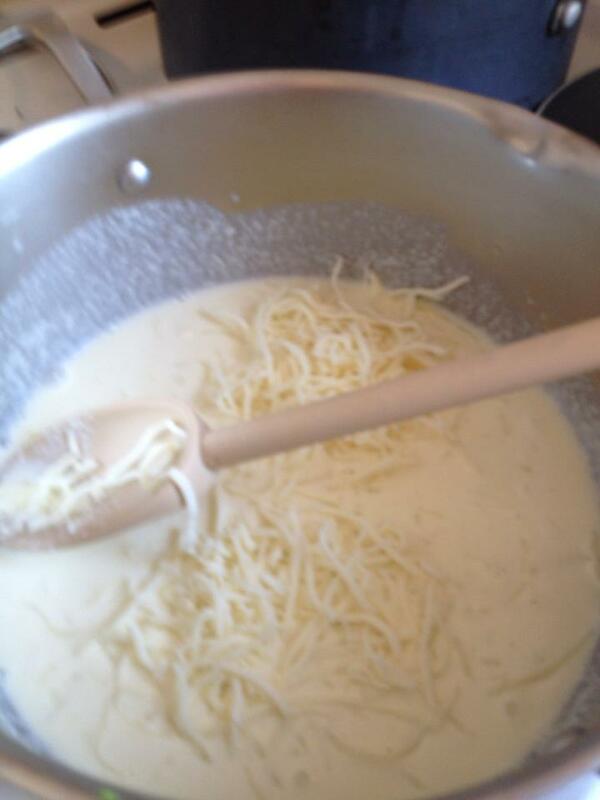 pour it into the chicken, adding cup of cheese. Mix it all together. 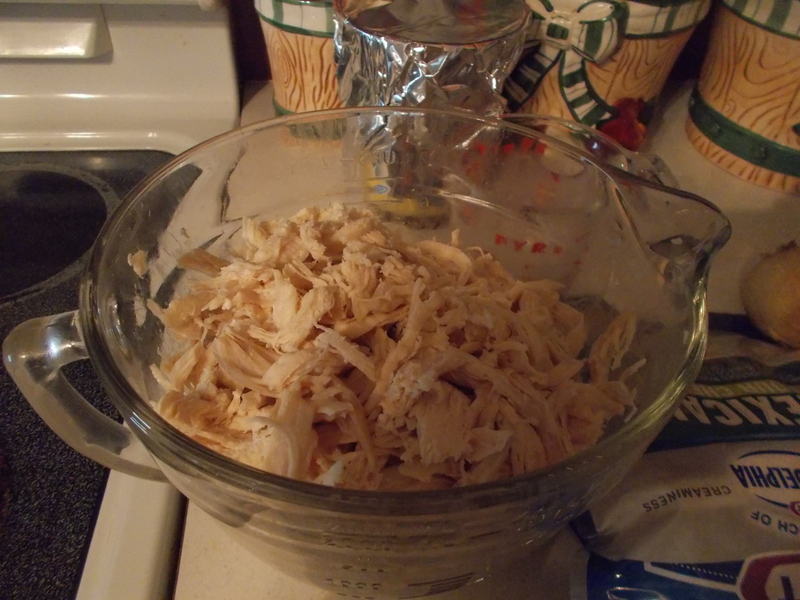 Take a tortilla, about 2-3 teaspoons full of chicken mixture and roll it up. 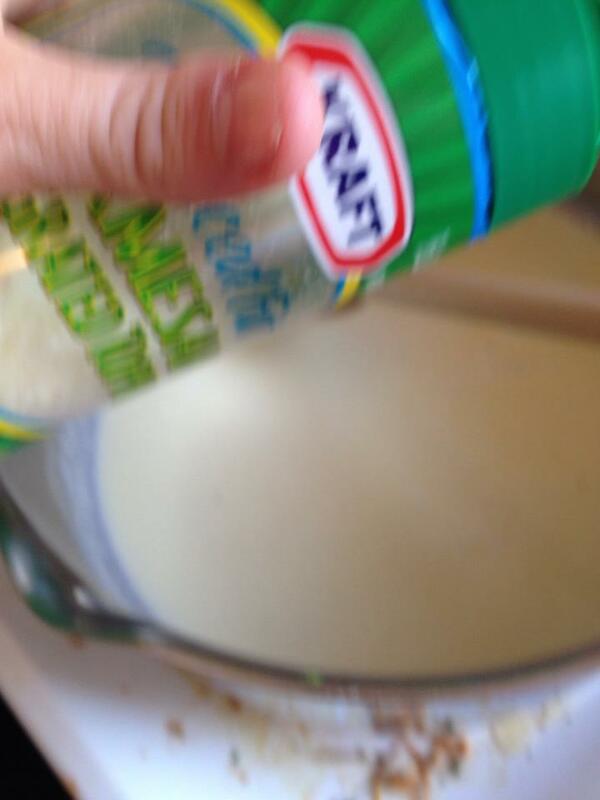 place it seam side down in the casserole dish. 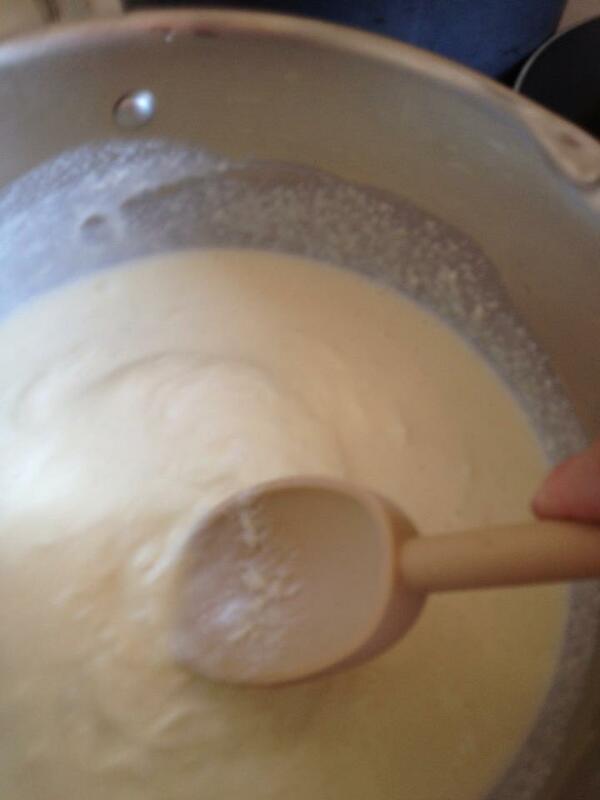 Repeat until all mixture is gone. 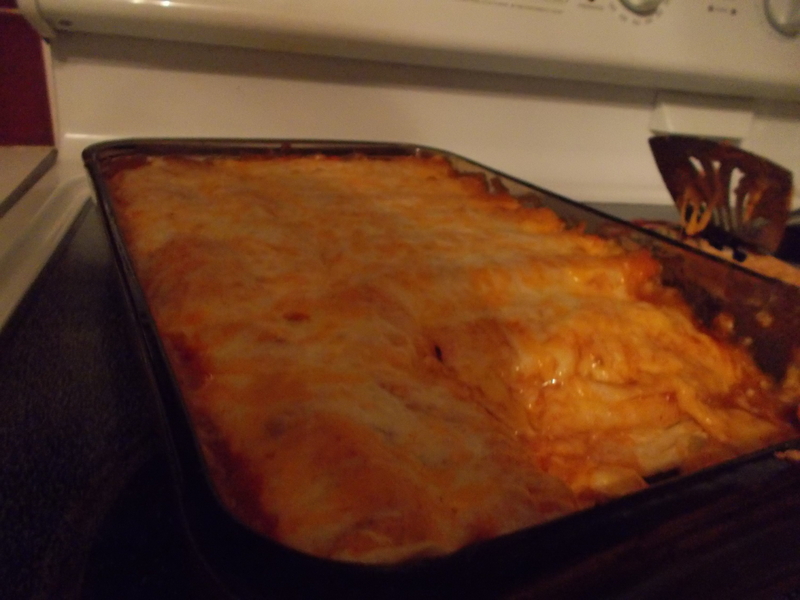 Cover with more enchilada sauce, and cheese. Bake at 370 degrees for 20-25 minutes until bubbly. There are other types of enchilada sauces but this is the only one I can find in the store. Dress it up, dress it down. 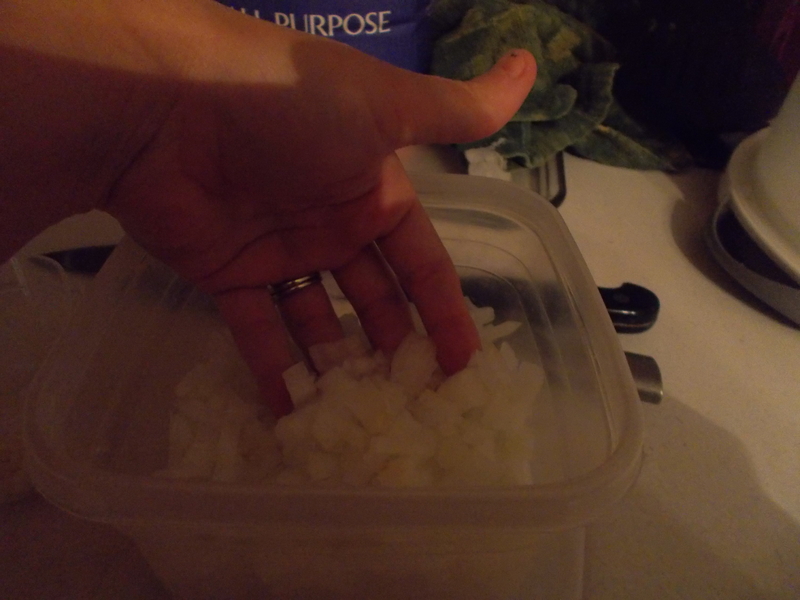 Add some sour cream and some green onion for a pop of color. This can be interchangeable. I do beef enchiladas, those are much simpler in that you do everything in one pan and then transfer to the tortilla. I have been researching for a while a recipe for a Mustard/Vinegar based BBQ sauce to use on various meats, cooking in various ways. My husband is from South Carolina, he is accustomed to Mustard/Vinegar BBQ Sauces. Specifically, Maurice’s. I myself being from Utah (grew up there, not born there) was not really aware of that sort of sauce. I do not like Sauces. I am not particularly fond of BBQ. Okay, so when you read that you thought I was crazy. I would too if I were you. I’m supposed to be a foodie and a chef. Aren’t we supposed to love everything. Well, no. Not really. 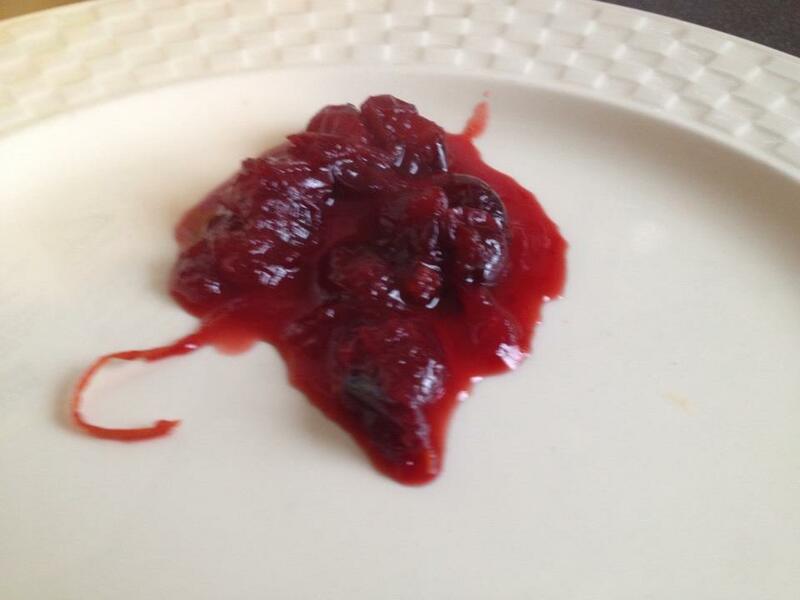 This sauce I concocted is AMAZING!!!!!!!!!!!!!!!!!!!!!!!!!!!!!!!!!!!!!!!!!!!!!!!!!!!!!!!!!!!!!!!!!!!!!!!!!!!!!!!!!!!!!! Yes, that many exclamation points deserves a smack in the face. I love Mustard on anything. Apparently, my husband does too. So I met my match with my husband who introduced me to Mustard/Vinegar based BBQ, I love the tartness and tantalizing taste it leaves on the tip of your tongue. 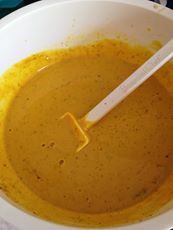 After reading through too many mustard BBQ recipes, I came up with a method for the madness in making my sauce. 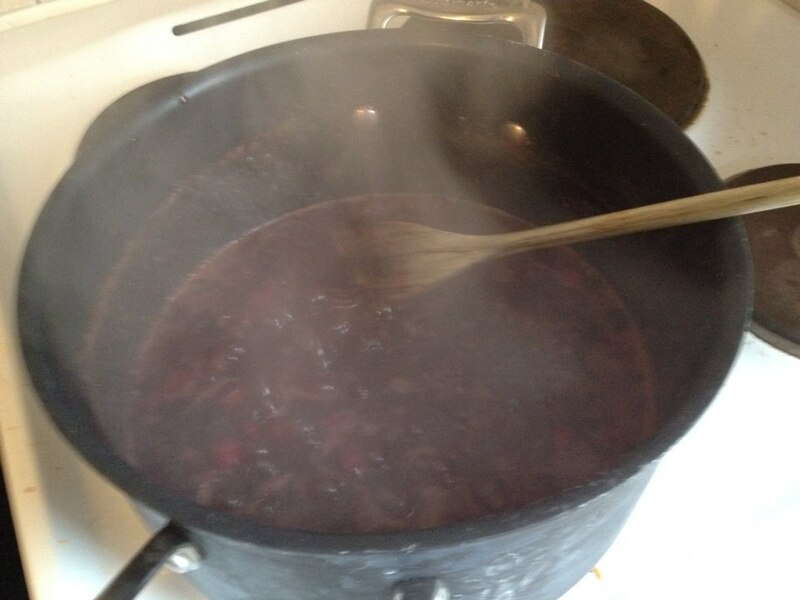 I had seen many many recipes using liquid smoke as well as hot sauces to add heat to the sauce. I consulted with my husband about this. 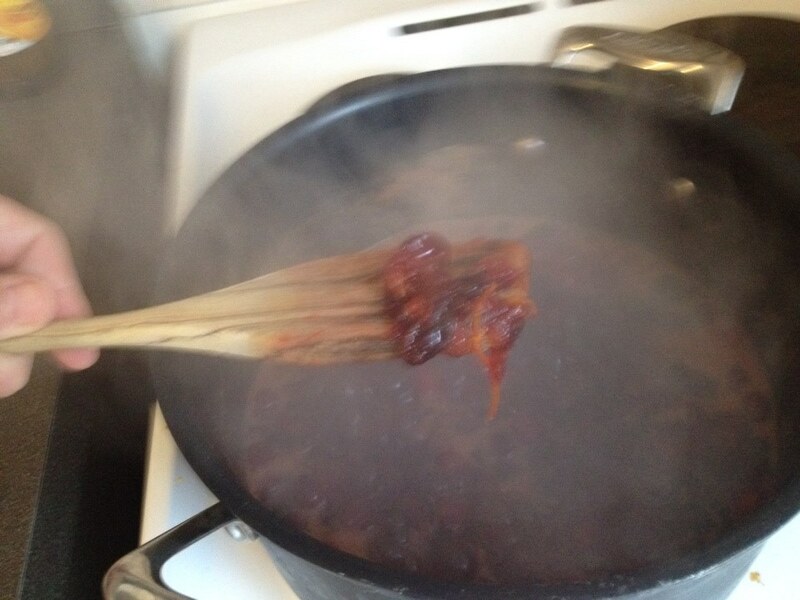 He said there shouldn’t be any extreme heat to the sauce, although it does pack a punch when added to a pulled-pork with a somewhat spicy rub. Combine all those ingredients mixing them together. That’s it! However, I wont leave you hanging. 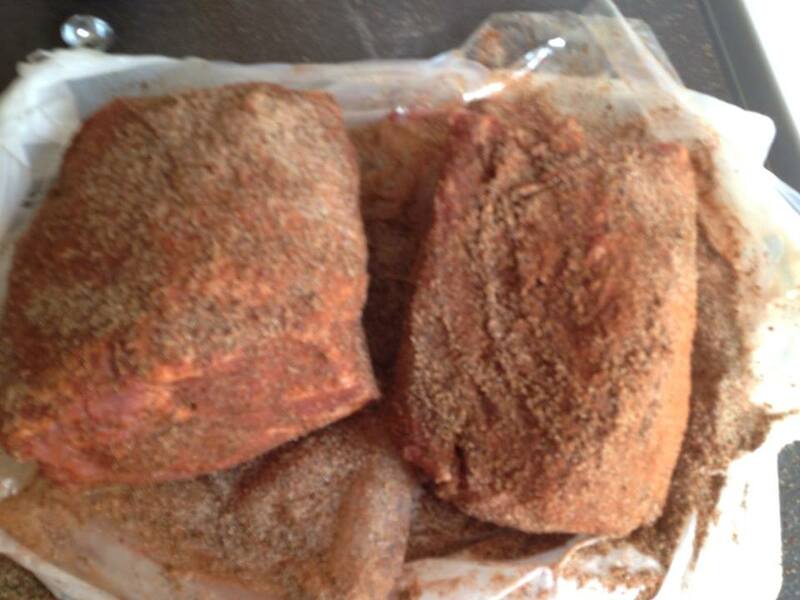 Take a 2-3lb pork shoulder. 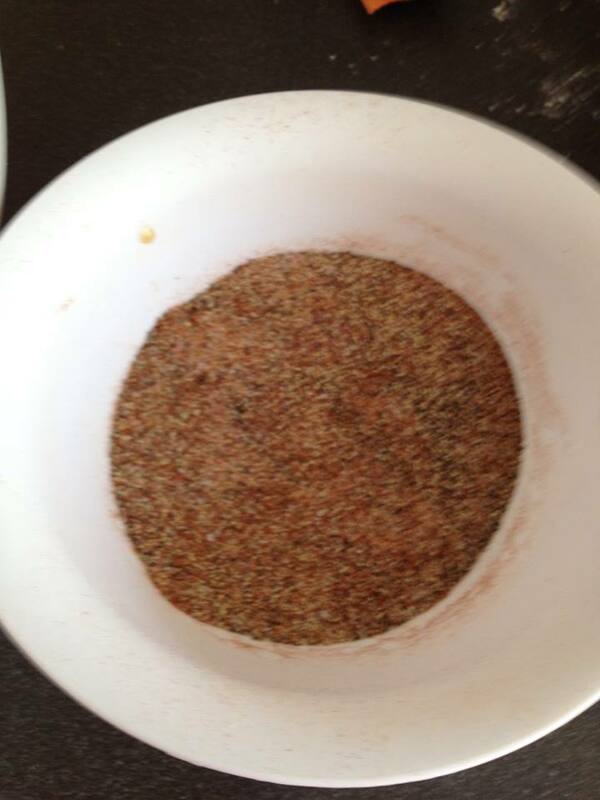 Mix all the dry spices together, including sugar. Rub on the outside of the pork really well. Sear the pork on all sides. 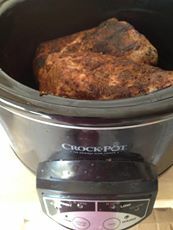 Place the Pork in a crock pot, pour the previously made BBQ sauce over top of it. Cover using lid. Turn on for 6-8 hours on low. 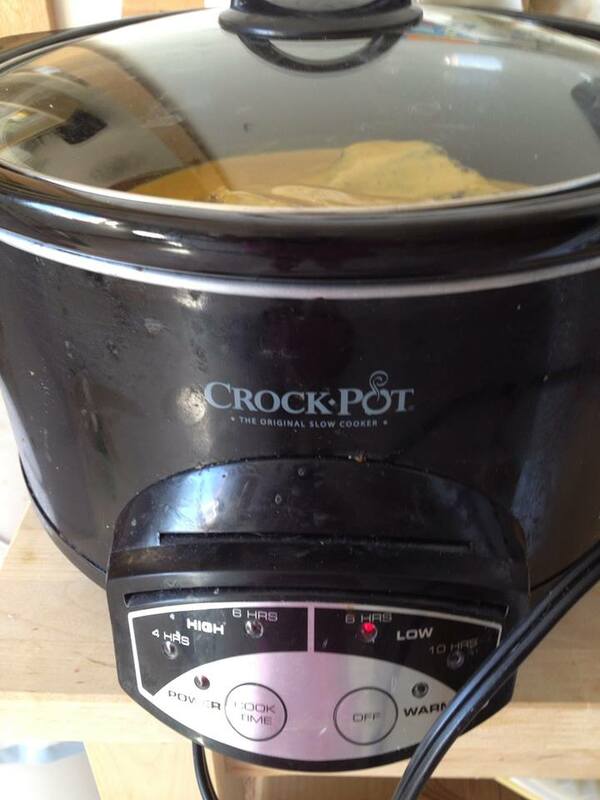 Allowing to cook slow. When done use two forks to pull the pork. It delicious served on any bread or roll. You can either tear the pork off to the side and later add the sauce as you are putting it on the bread or mix it altogether. This makes enough for leftovers for 2 people. So 4 people it would probably be enough for a meal. 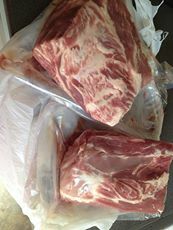 Although I made two 5 lb pork shoulder, doubling the BBQ recipe for a potluck and there was still leftovers. Hope you enjoy this one. This is a keeper for sure. 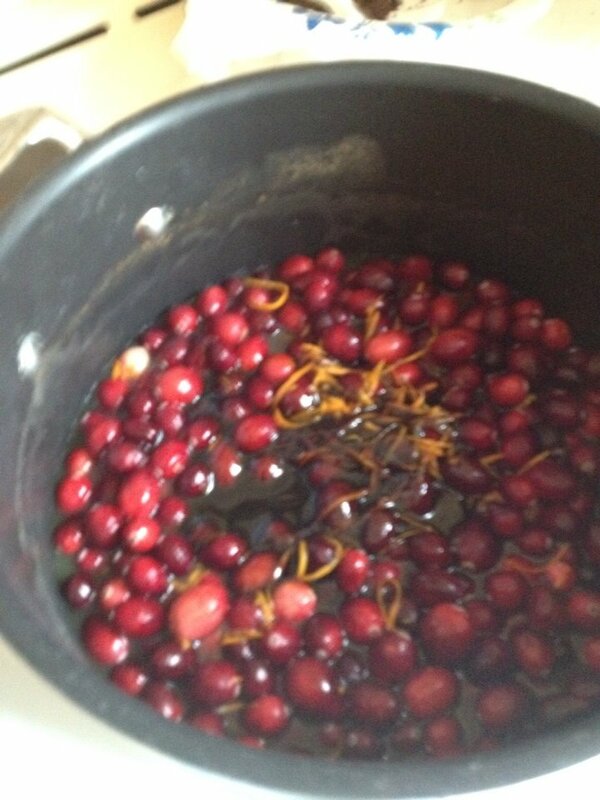 I would change a few of the spices if I was adding it in with beef to enrich the flavor. Please let me know if you have any other suggestions for BBQ Sauces. I would love to hear them! As always thank you for reading my blog. Alright I do not measure my ingredients for this sauce because the less you use the less you get, the more you use the abundance of sauce you end up with. Got it? 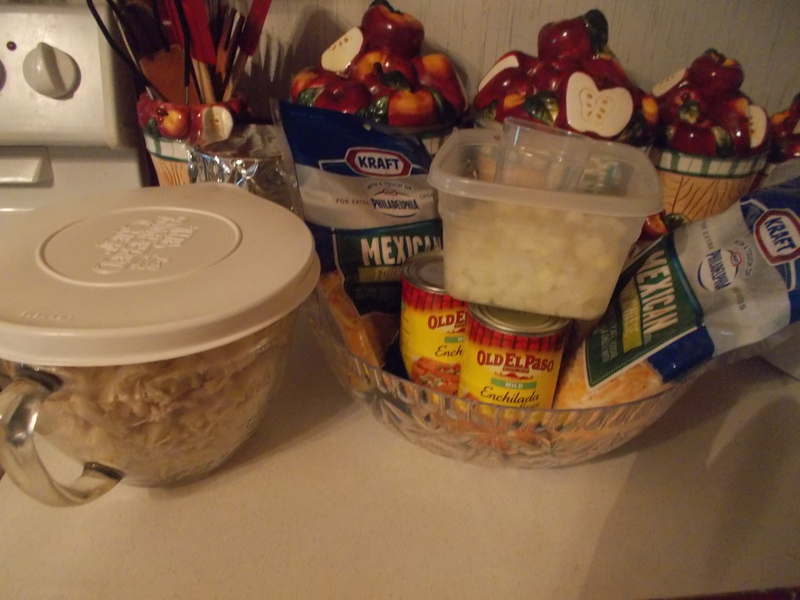 So What you need for the sauce pictured above, besides the fresh garlic cloves I did not have on hand. I think my husband threw them out or my 2 year old hid them…Probably find them in her play kitchen in a few days. 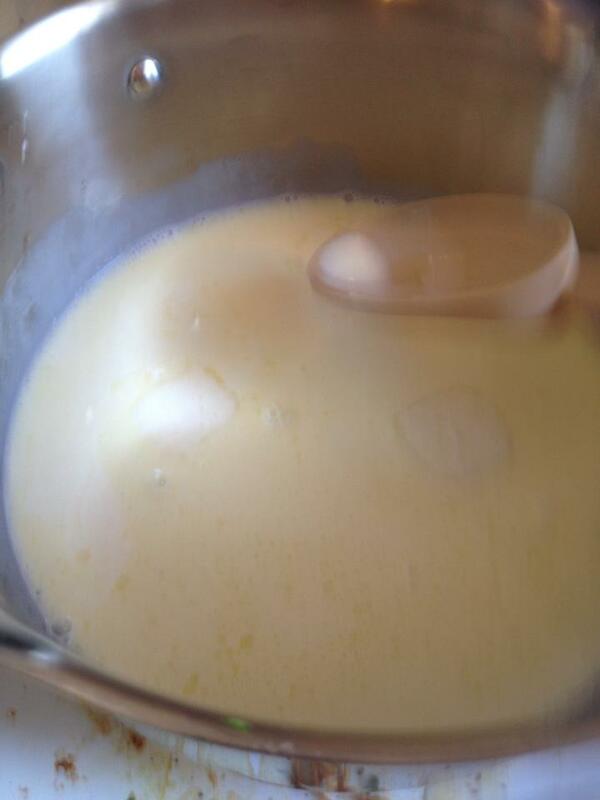 This sauce uses heavy cream, although you can use milk if you cannot get heavy cream. Where I live overseas our cream comes in these very teeny cartons. I say teeny because when you are trying to make something big you need many of them. 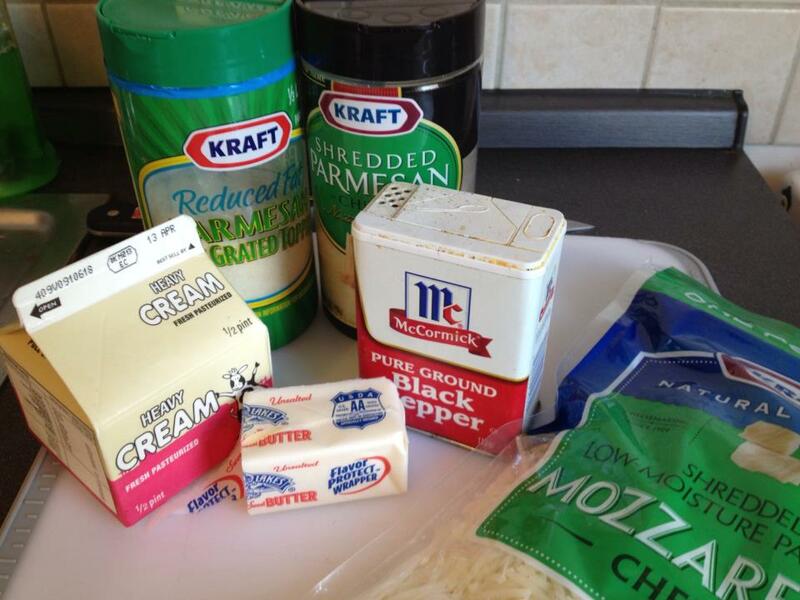 So: Butter, Cream, Parmesan, Pepper (I add mozzarella because my husband really loves cheese) But a Alfredo Sauce is intended to be a Parmesan based sauce. The heat on the stove should never go over a medium. 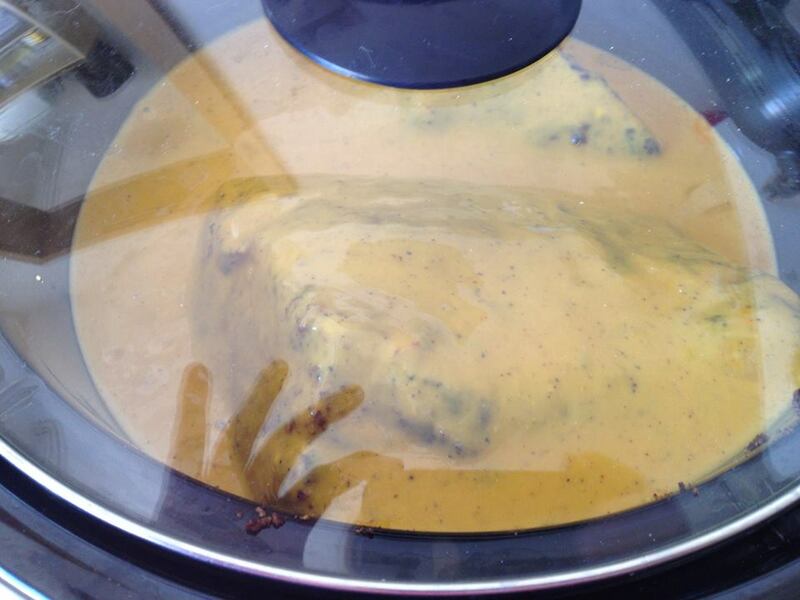 This is to be cooked on medium or lower temperatures to prevent curdling. 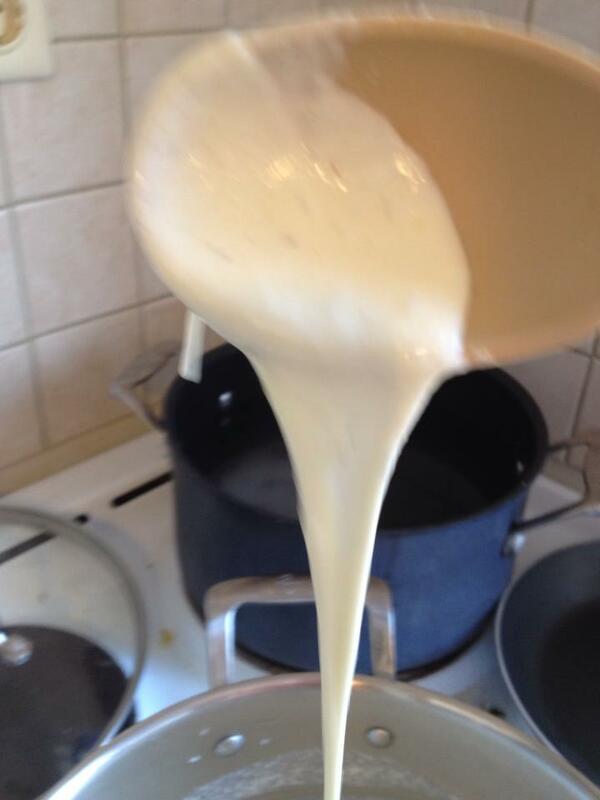 Melt Butter, Add cream, stir together, sprinkle in Parmesan, it will thicken slightly, add mozzarella, it will get very thick like fondue. 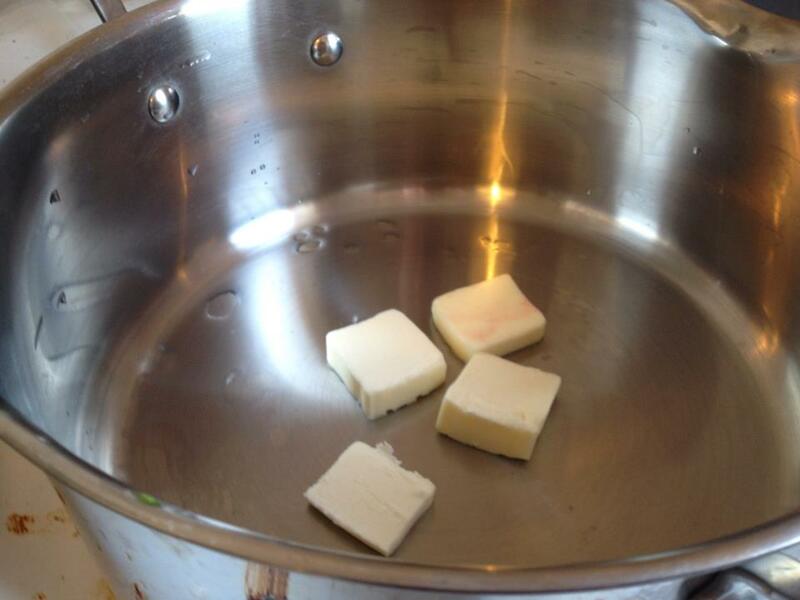 Once you cook your pasta, use excess pasta water while its hot to thin the sauce out. Thin it to the thickness you prefer. 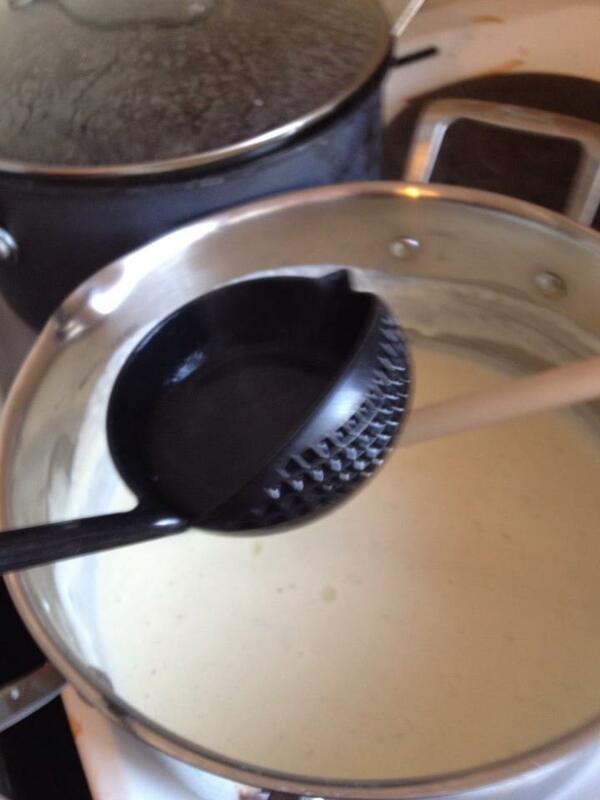 Alfredo sauce is meant to coat the fettuccine noodle, not pool at the bottom of your plate. Keep that in mind. 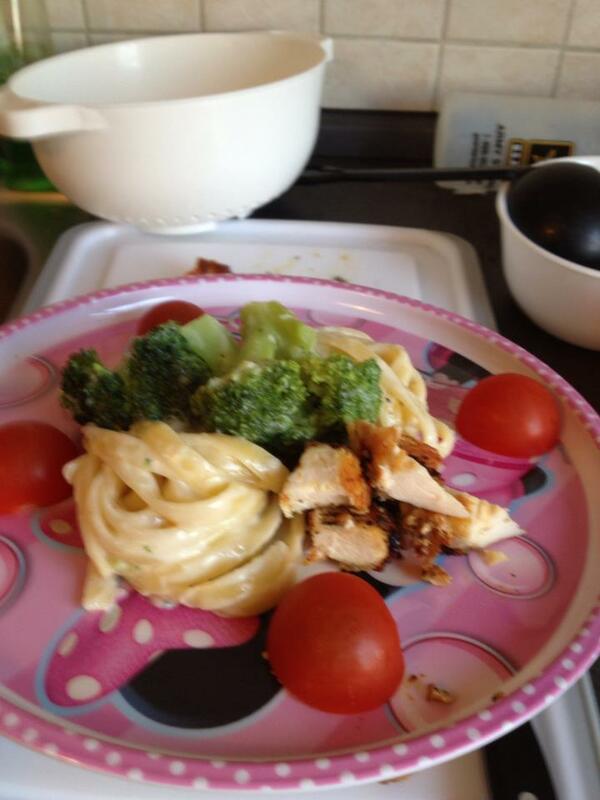 Toss your pasta and vegetables in the sauce, then plate. Place chicken, shrimp, squid ring or what not on top. 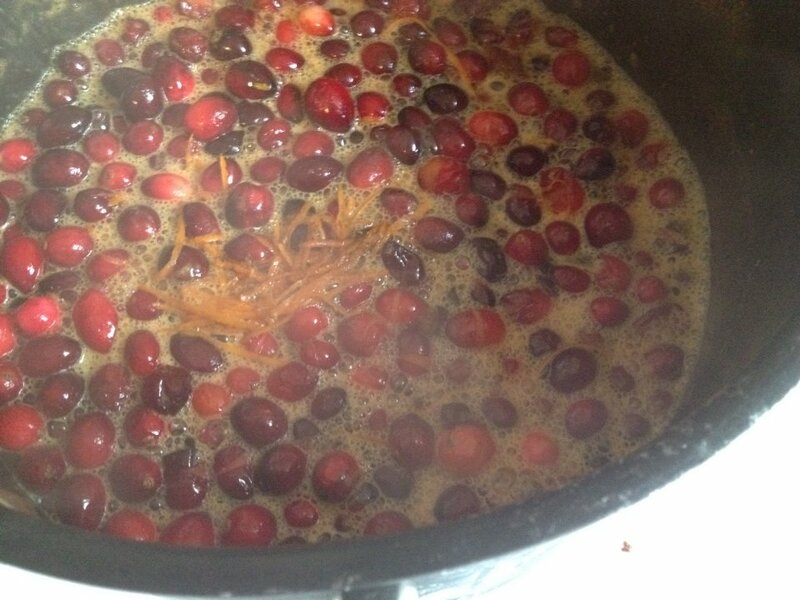 You can Add Creole spices to spice up the sauce, Add directly to sauce. Flavor: If you’re not sure what flavor your sauce has gotten. It should have a strong parmesan cheese flavor. 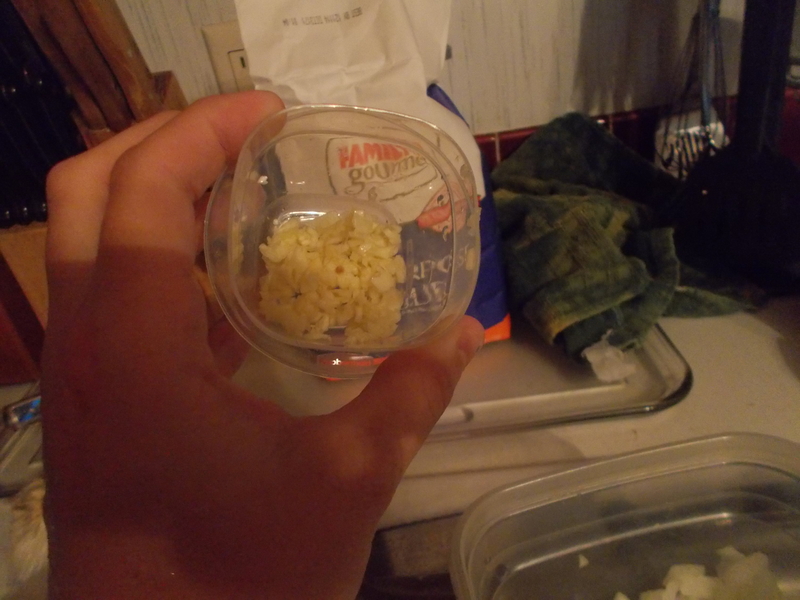 Adding Garlic. 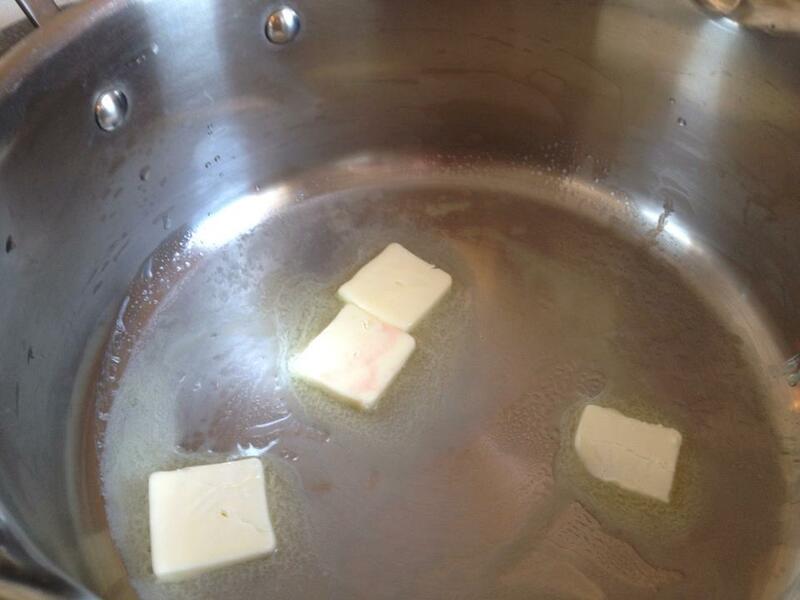 Minced garlic can be added with the butter. 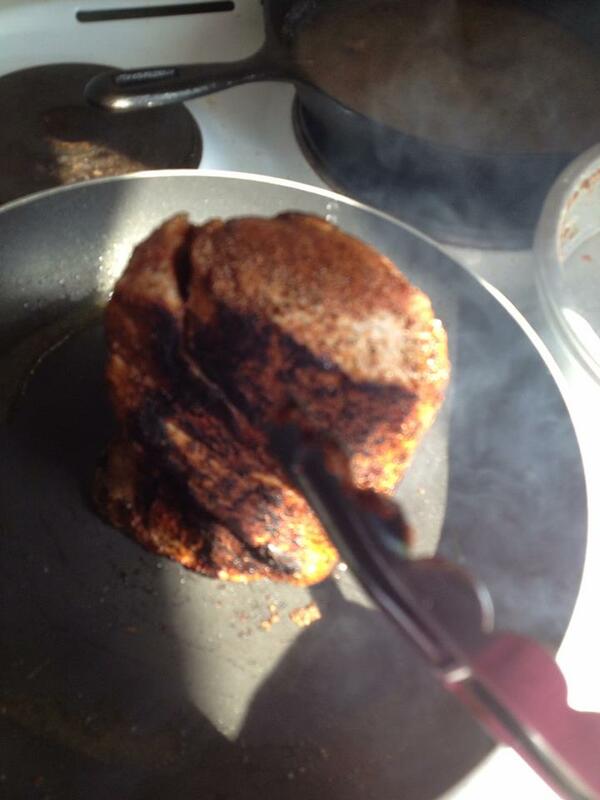 Cook slightly. Do not brown, the sauce is meant to be a light pale color. If you have any questions please feel free to comment. This made enough for 3 people.